The Wishbone coat stand was designed by the award-winning Danish design duo Busk+Hertzog for the Danish manufacturer Frost. The coat stand is characterized by its clear, purist design. The structured lines as well as the stainless steel glossy elements make the Wishbone clothes rack modern design object that fits perfectly into private rooms as well as public areas. The wishbone, a tree which forks into two directions served as the inspiration for Busk+Hertzog. These kind of trees are considered to be a rare instance in nature. 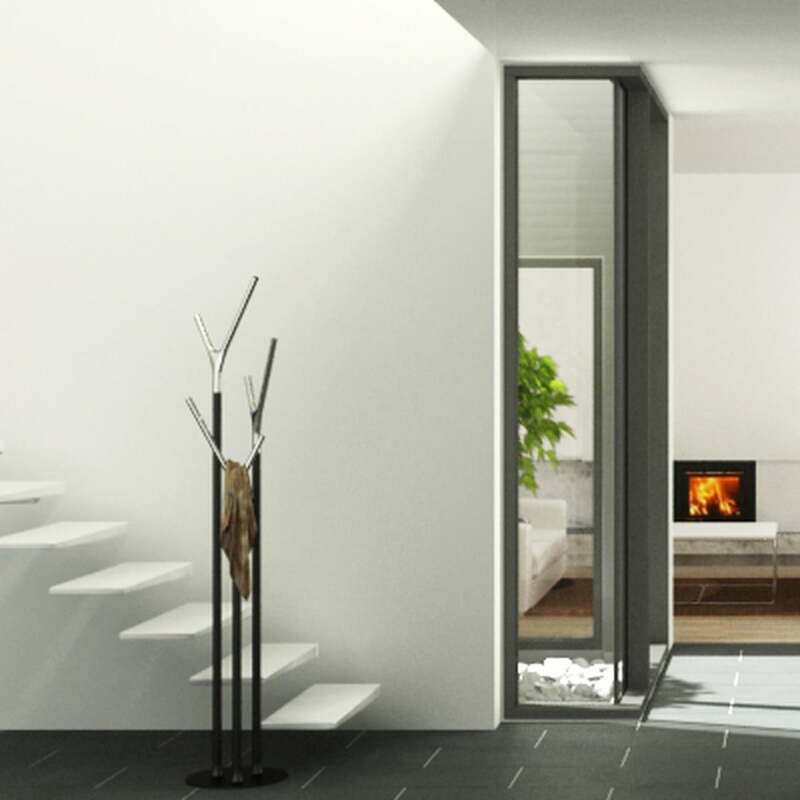 The Wishbone coat stand was awarded the Red Dot Design Award in 2008 for its special design. 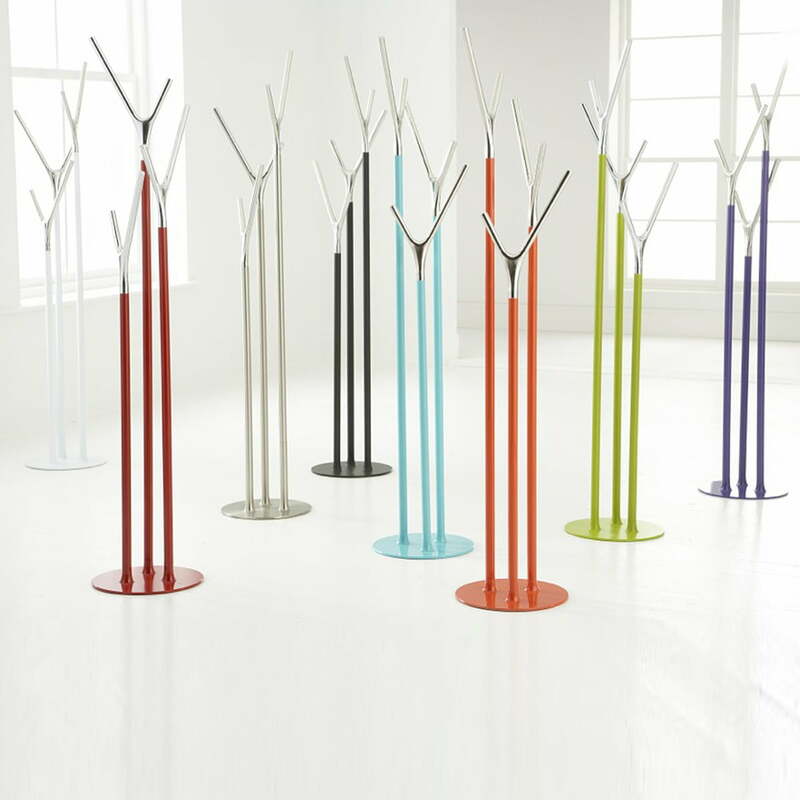 Frost's coat stand is available in different colors. 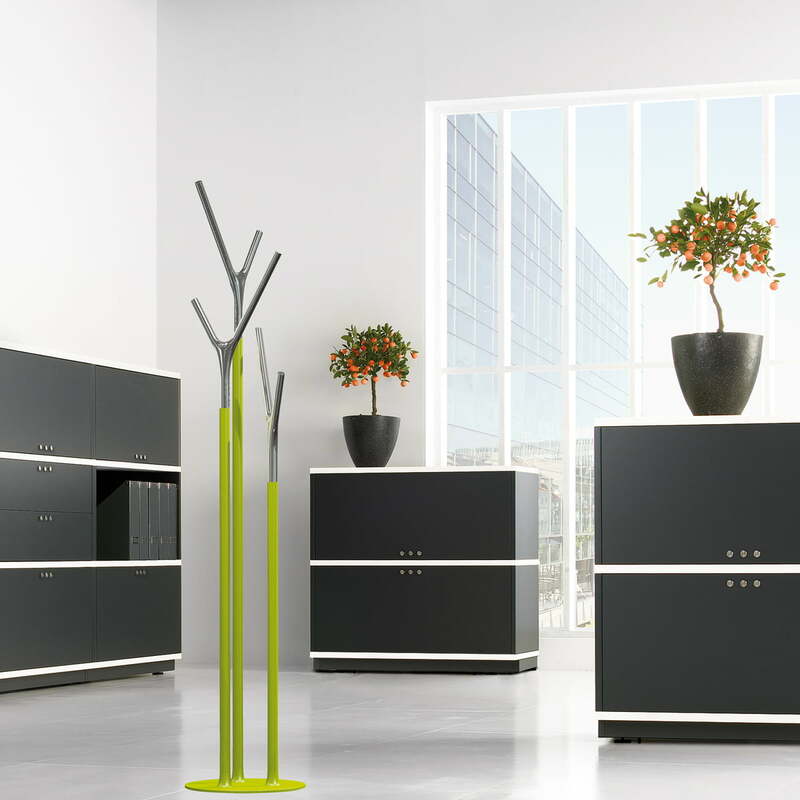 While the branched elements of the hall stand are always delivered in glossy stainless steel, the basic frame can be chosen in green, white, red, black or matt stainless steel. Single image of the Clothes Rack Wishbone by Frost with white base and hooks in stainless steel look. The design was made by Busk+Hertzog and was inspired by the rarely seen wishbone tree. Detailed view of the Wishbone Clothes Rack in white with polished stainless steel hooks. 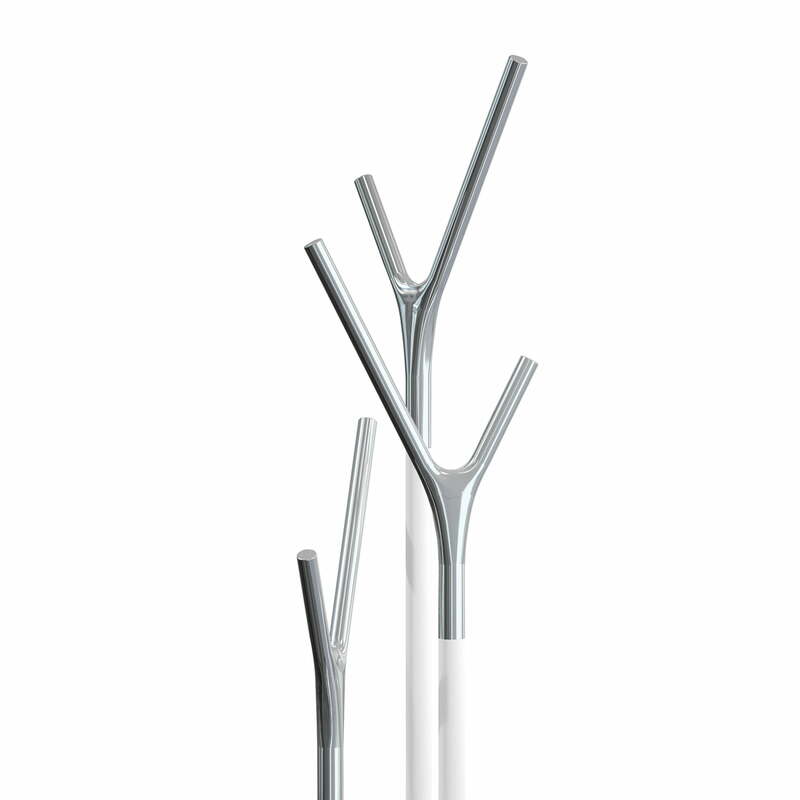 The design is based on the rarely seen wishbone tree and belongs to the accarding collection by Frost. 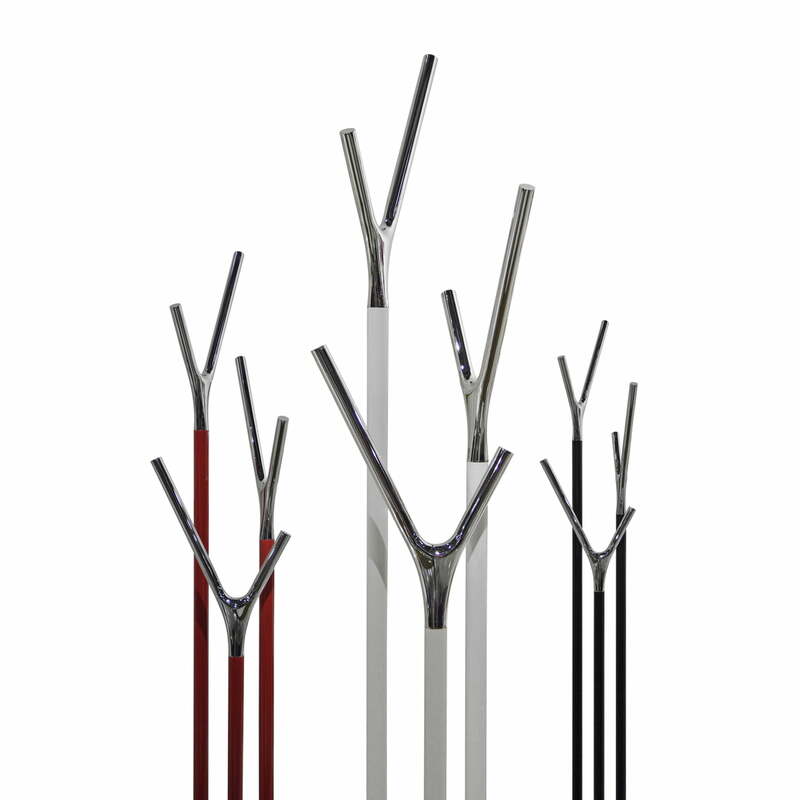 The Wishbone Clothes Rack in white, red and black by the Danish manufacturer Frost. The hooks are always made of polished stainless steel, the base varies in colour. 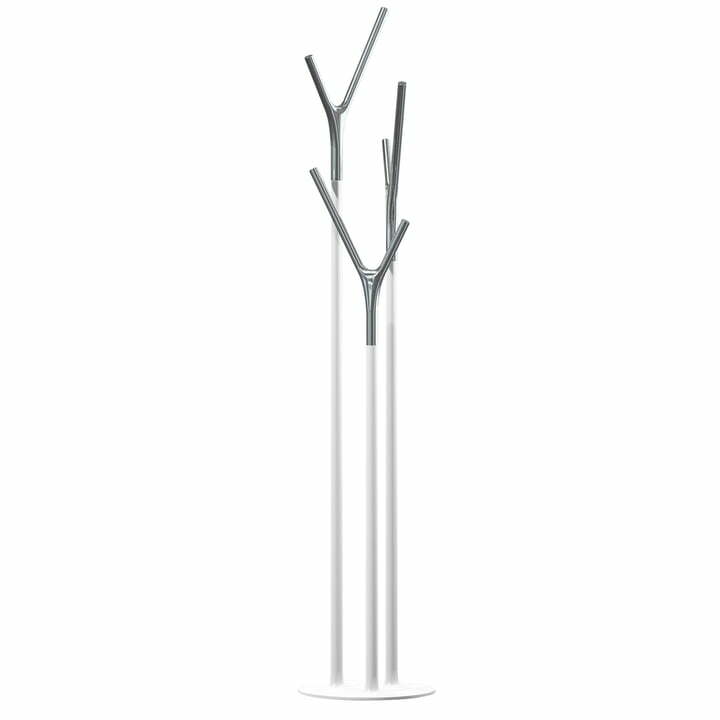 The Wishbone Clothes Rack by the Danish manufacturer is available in many different colours, but the hooks or "branches" are always made of polished stainless steel. The Wishbone clothes rack in green in front of a white wall with the Wishbone coffee table in the living area with a green, round carpet on the floor. The Wishbone Clothes Rack in green in a modern office interior. The clothes rack with 6 hooks is suitable for different surroundings, for example for the office or the entrance area at home. The Wishbone Clothes Rack by Frost convinces at the base of the staircase or the hallway to hold coats and jacket. It revives its surrounding for example by its fresh colours.